Use this option in order to block creating duplicate posts by specifying a set of keywords. To use this option, navigate to WP Admin Dashboard → User Frontend → Settings → Select Content Filtering. Next, you have to check the “Enable Content Filtering” option in order to use this feature. After that, use the keyword dictionary field to insert or specify the keywords so that you can block creating posts containing these keywords. Use commas to separate the keywords while inserting them. 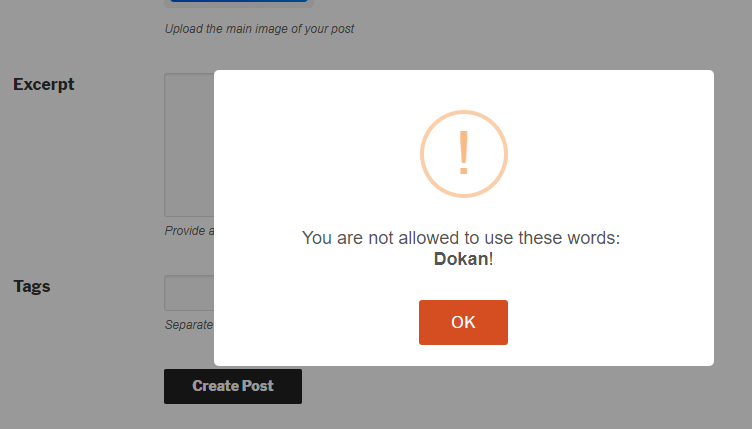 Here, for example, we have inserted the keywords- Dokan, weForms and WP ERP. 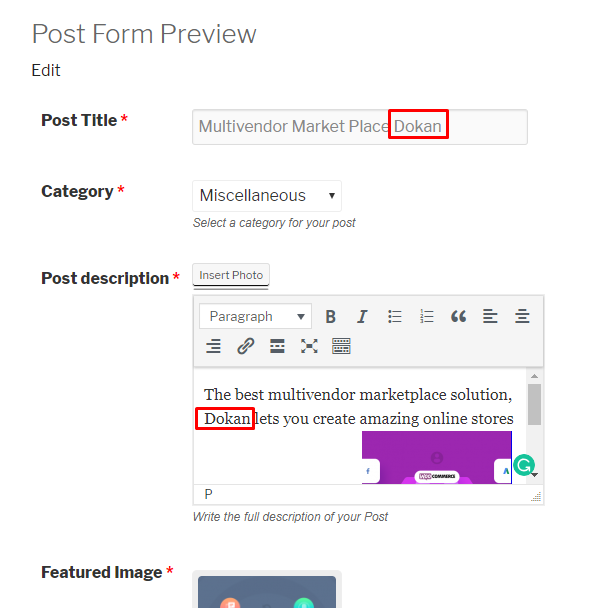 Note: If the post title or post content contains these keywords you won't be able to create the post. Use the Filter main content option to tell the system which part of the post should be filtered out for the specified keywords that you set in the Keyword Dictionary. Hit the “Save Changes” button and you are done with configuring the content filtering option. 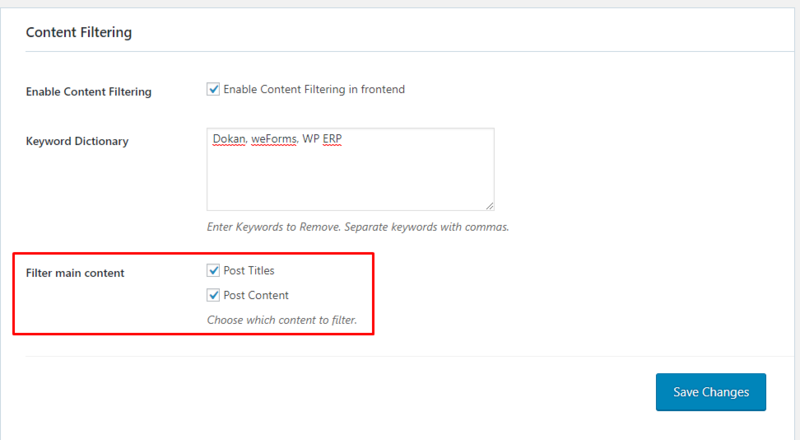 This is how the content filtering option works in WP User Frontend.